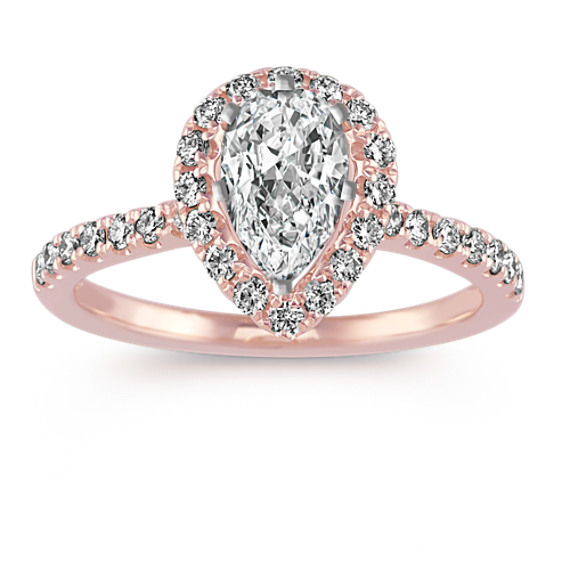 This halo inspired engagement ring features 30 pave-set brilliant round diamonds, at approximately .38 carat TW. Set in quality 14 karat rose gold, this ring measures 11.6mm at the center. Simply add the .75 carat center pear-shaped gemstone of your choice to complete this stylish halo piece.